Hypothetical model for the fever response (reprinted from Mackowiak28 with permission). IL indicates interleukin; TNF, tumor necrosis factor; IFN, interferon; and PGE2, prostaglandin E2. Various treatments have been used to suppress fever since antiquity. Surprisingly, few studies have been performed to ascertain the physiologic consequences of antipyresis and validate the rationale behind such therapy. More importantly, it has not been established conclusively that the benefits of antipyretic therapy outweigh its risks. The present review considers these issues in light of currently available data and formulates guidelines for antipyretic therapy based on these data. The present review critically evaluates the physiologic rationale, the diagnostic implications, and the clinical consequences of antipyretic therapy. The data reviewed are also used to formulate recommendations regarding the appropriate clinical application of such therapy. Fever is "a state of elevated core temperature, which is often, but not necessarily, part of the defensive response of multicellular organisms (hosts) to the invasion of live (microorganisms) or inanimate matter recognized as pathogenic or alien by the host. "13 The febrile response, of which fever is but 1 component, is a complex physiologic reaction to disease involving a cytokine-mediated rise in core temperature, generation of acute-phase reactants, and activation of numerous physiologic, endocrinologic, and immunologic systems.14 The rise in core temperature during fever is to be distinguished from the unregulated rise that occurs during hyperthermia, in which pyrogenic cytokines are not directly involved and against which standard antipyretics are largely ineffective. Antipyretics block or reverse fever's cytokine-mediated rise in core temperature, but do not affect body temperature in the afebrile state. They are to be distinguished from hypothermia agents (cryogens), which are capable of lowering core temperature even in the absence of fever. Two critical assumptions are made when prescribing antipyretic therapy. One is that fever is, at least in part, noxious, and the other, that suppressing fever will reduce if not eliminate fever's noxious effects. Neither assumption has been validated experimentally. In fact, there is considerable evidence that fever is an important defense mechanism that contributes to the host's ability to resist infection.15,16 Moreover, it has never been shown in humans that increases in core temperature encountered during fever, which rarely exceed 41°C (105.8°F), are harmful per se.17 Nevertheless, many clinicians believe that even the relatively modest increases in core temperature encountered during fever are deleterious to certain patients and should therefore be suppressed. It has also been suggested that patients with underlying cardiovascular or pulmonary disorders might be especially susceptible to the adverse effects of fever because of the increased metabolic demands imposed by the elevated temperature.24 Such demands, which peak during the chill phase, largely as a result of shivering, include increases in sympathetic tone,25 oxygen consumption, respiratory minute volume, and respiratory quotient.26 Although these have been proffered as prima facie justification for antipyretic therapy in patients with underlying cardiopulmonary disorders, the risk-benefit ratio of such therapy has yet to be determined. The drugs most commonly used today to suppress fever are the salicylates (eg, sodium salicylate and acetylsalicylic acid), ibuprofen, and the other nonsteroidal anti-inflammatory drugs (NSAIDs), and the para-aminophenol derivative acetaminophen. Until the 1970s, little was known about mechanisms responsible for the antipyretic activity of any of these compounds. In 1970, Milton and Wendlandt30 demonstrated both that prostaglandins of the E series cause rapid onset of fever when injected into the cerebral ventricles of cats and rabbits, and that PGE2 is released within the brain during fever. These observations, in conjunction with those of Vane31 showing that aspirin and other antipyretic drugs inhibit synthesis of prostaglandins, suggest that antipyretic drugs reduce fever primarily by inhibiting the formation of PGE2 in the brain. However, not all experimental data obtained since the early work of Milton and Wendlandt30 and Vane31 have supported this hypothesis. Injection of PGE2 into appropriate brain regions of animals capable of mounting a febrile response to endotoxin, for example, does not consistently cause fever in the animals.32 Moreover, salicylate infusions into the ventral septal area of experimental animals blocks the febrile response caused by intraventricular injection of PGE,33 suggesting that the mechanisms of action of at least some antipyretic drugs might involve more than simple inhibition of PGE synthesis. Acetaminophen, aspirin, and the other NSAIDs all seem to block conversion of arachidonic acid to PGE2 by inhibiting COX.21 Production of PGE2 at key sites within the hypothalamus is widely regarded as a critical step in the process by which the physiologic cascade responsible for raising core temperature during the febrile response is activated.34 Cyclooxygenase has at least 2 distinct isoforms: a constitutive isoform, COX-1, and a predominately inducible isoform, COX-2, which is undetectable in most resting cells.1 The former initiates production of prostacyclin, which has both antithrombogenic and cytoprotective properties, whereas the latter is a principal mediator of the inflammatory response. The anti-inflammatory action of NSAIDs is believed to result from inhibition of COX-2, and the unwanted adverse effects, such as gastric irritation, from inhibition of COX-1. The structure and catalytic activity of the two COX isoforms are similar.35 Both contain approximately 600 amino acids, of which 63% are in identical sequence. Their active sites are located at the apex of a long, narrow, hydrophobic channel. The amino acids forming the channel, as well as catalytic sites and neighboring residues, are identical in the 2 isoforms with 2 exceptions. Valine in COX-1 is substituted for isoleucine at positions 434 and 523 in COX-2. These variations account for many but not all of the differences in the reactivities of the 2 isoforms. Aspirin, for example, acetylates serine 530 of both isoforms. In COX-1, this blocks access of arachidonic acid to the catalytic site, causing irreversible inhibition of the enzyme. Because of the wider hydrophobic channel of COX-2, access of arachidonic acid to the active site persists after acetylation of serine 530 by aspirin. Acetaminophen and the NSAIDs differ with respect to their relative potencies as inhibitors of peripheral and central nervous system COX. Acetaminophen, for example, is nearly as effective as aspirin and 10% as effective as indomethacin in inhibiting central COX, but only 5% as effective as aspirin and 0.02% as effective as indomethacin in inhibiting peripheral COX.35-37 The relatively weak activity of acetaminophen against peripheral COX most likely accounts for its poor anti-inflammatory activity. Because it takes time for the fever cascade (Figure 1) to effectuate heat retention and production mechanisms, there is a necessary delay between the release of endogenous pyrogens and pyrogen-induced increases in core temperature. For similar reasons, there is a delay between the time an antipyretic drug reaches its site of action and core temperature begins to fall. This antipyretic latency period might also be influenced by the capacity of arachidonic acid metabolites, such as PGE2, to down-regulate production of at least some pyrogenic cytokines.42 By suppressing PGE2 production, COX inhibitors cause a paradoxical increase in translation of pyrogenic cytokines. Few studies have compared the antipyretic activity of NSAIDs in adults. In endotoxin-challenged adult volunteers, ibuprofen (800 mg orally) is an effective antipyretic if given just before or simultaneously with the endotoxin challenge,42,54 and is superior to acetaminophen in lowering the temperature of patients with sepsis.55 Intramuscular ketorolac (30 mg) was shown to be as effective as acetaminophen (650 mg orally) in suppressing fever in endotoxin-challenged adult volunteers.56 In a single-dose crossover trial involving patients with various febrile disorders, oral nimesulide (200 mg) and dipyrone (500 mg) were more effective than oral aspirin (500 mg) in lowering fever.57 Finally, in clinical trials comparing rectal nimesulide (200 mg) with acetaminophen (500 mg rectally),58 and diclofenac (100 mg rectally) with placebo,59 the 3 agents exhibited similar antipyretic activity. Whereas acute liver failure in the setting of an attempted suicide with acetaminophen is well recognized, only recently has attention been focused on the risk of hepatic injury due to acetaminophen administered in doses within or slightly above the recommended range (4 g in 24 hours). In a recent series of 71 cases of acetaminophen-induced hepatotoxicity, 30% of the cases were shown to result from accidental overdoses in patients using the drug for pain relief.68 Reasons for excessive dosing included too frequent dosing, simultaneous ingestion of multiple acetaminophen-containing compounds, and ingestion of cough and cold remedies not recognized to contain acetaminophen. A variety of techniques are used to cool patients by physical means. These include sponging with various solutions (eg, tepid water or alcohol), application of ice packs or cooling blankets, and exposure to circulating fans (most often in conjunction with sponging). In contrast to antipyretic drugs, external cooling lowers the temperature of febrile patients by overwhelming effector mechanisms that have been evoked by an elevated thermoregulatory set point, rather than by lowering that set point. Therefore, unless concomitant therapy with antipyretic agents has lowered the thermal set point or shivering is inhibited by other pharmacologic means, external cooling is vigorously opposed in the febrile patient by thermoregulatory mechanisms trying to maintain the elevated body temperature. Physical methods promote heat loss by conduction (eg, during immersion in cold water), convection (eg, during passage of cool air over body surfaces), and evaporation (eg, during water or alcohol sponge baths). Evaporative methods have traditionally been touted as the most effective physical means of promoting heat loss in febrile patients because such methods are deemed to be the least likely method to induce shivering.71 However, carefully designed comparative trials have not yet established any 1 physical method of antipyresis as superior. Direct comparisons of pharmacologic and physical methods of antipyresis are likewise all but nonexistent. In the only controlled study, Wenzel and Werner72 reported that salicylates reduced the second phase of endotoxin-induced fever in rabbits, whereas abdominal skin cooling increased heat production and did not lower core temperature unless animals were simultaneously exposed to a warm environment. Neither antipyretic modality abolished the initial phase of the febrile response. The few clinical studies done of the efficacy of physical methods of antipyresis have differed in their conclusions. Interpretation of these data has been difficult because pharmacologic agents have almost invariably been administered concomitantly with external cooling. Steele et al73 found oral acetaminophen (in age-adjusted dosages ranging from 80 to 320 mg) and sponging with ice water or with alcohol in water to be equally effective in reducing fever in children. While less effective in lowering febrile temperatures, sponging with tepid water has been reported to afford greater comfort than sponging with either ice water or alcohol in water.73 When acetaminophen was combined with sponging, more rapid cooling occurred than with either modality alone. Newman,74 on the other hand, reported that tepid-water sponging in combination with 5 to 10 mg/kg of oral acetaminophen is no more effective than acetaminophen alone in lowering the temperature of children with fever. 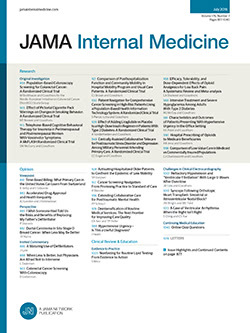 In a prospective observational study of adults with fever being treated in intensive care units, O'Donnell et al71 concluded that while hypothermia blanket therapy added little to the action of pharmacologic agents in lowering temperature, it induced wider temperature fluctuations and more episodes of hypothermia. Numerous investigators have observed a direct correlation between the height of fever and the rate of serious bacterial infections in children, with the likelihood of such infections increasing sharply in children febrile to greater than 40°C.74-78 It has also been suggested that the response of a fever to antipyretic therapy might be important diagnostically, in that a drop in temperature and/or improvement in the general appearance of a febrile child indicate that the fever is not due to a serious illness.79 This conclusion, however, is not supported by several investigations comparing the response of children to antipyretics (primarily oral acetaminophen) during bacteremic and nonbacteremic infections80-85 (Table 2). Of 6 such investigations published in recent years, only 185 found a difference in the antipyretic responsiveness of bacteremic and nonbacteremic fever. In that study, bacteremic fevers responded substantially less well to acetaminophen than nonbacteremic fevers. However, unlike 5 other prospective investigations that showed no such difference, this investigation was a retrospective study. Thus, with 1 retrospective exception, published investigations suggest that in children, fevers due to serious infections (ie, bacteremic) are as responsive to antipyretic therapy as less serious infections. Several studies have suggested that neoplastic fevers are more responsive to NSAIDs than infectious fevers, and that this difference in antipyretic responsiveness can be used to distinguish fevers of infectious origin from those due to cancer.86-88 Unfortunately, because patients with obvious infections were excluded from analysis in these studies, the results may have been biased. Naproxen was one of the first such drugs to be studied in this regard.86 Subsequent randomized comparisons have reported naproxen, indomethacin, and diclofenac to be equally effective in inhibiting cancer-induced fever.88 No satisfactory explanation has been offered to date as to why NSAIDs might be more effective in reducing fever due to cancer than that due to infection. One of the reasons commonly given as justification for suppressing fever is that the metabolic cost of fever exceeds its clinical benefits. In fact, the metabolic and cardiovascular costs of fever are substantial, especially during the chill phase of the response with its shivering-induced increase in metabolic rate, norepinephrine-mediated peripheral vasoconstriction, and increased arterial blood pressure.25 Because of the potential adverse consequences of these metabolic effects on cardiovascular and pulmonary function, fever has been attacked with particular vigor in patients with underlying cardiovascular and/or pulmonary diseases.71 Although antipyretic therapy has theoretical merit in this regard (if it does not induce shivering89), neither the detrimental effects of fever nor the salutary effects of antipyretic therapy have been confirmed experimentally, even in patients with underlying cardiovascular and pulmonary diseases. Unfortunately, certain antipyretic drugs also seem to cause coronary vasoconstriction in patients with coronary artery disease. Friedman et al93 observed significant increases in mean arterial pressure, coronary vascular resistance, and myocardial arteriovenous oxygen difference after administration of intravenous indomethacin (0.5 mg/kg) in such patients. Mean ± SEM coronary blood flow decreased simultaneously from 181 ± 29 to 111 ± 14 mL/min (P<.05). Thus, in this investigation, myocardial oxygen demand increased in the face of a fall in coronary blood flow following indomethacin administration. The authors speculated that indomethacin's vasoconstrictor effect derives from its capacity to block the synthesis of vasodilatory prostaglandins. Antipyretic therapy is also occasionally given to prevent febrile seizures in children and to prevent or to reverse fever-associated mental dysfunction in frail elderly patients. Beisel et al99 showed that aspirin (in combination with propoxyphene) ameliorates fever-associated decrements in mental work performance in young volunteers infected with sandfly fever virus, even in the face of only partial relief of either the fever or other symptoms of the illness. In view of these observations, antipyretic therapy might be expected to have a beneficial effect on fever-associated mental dysfunction in frail elderly patients. However, studies designed to test this hypothesis have not been conducted. Unfortunately, antipyretic therapy has yet to prove effective in preventing febrile seizures.23 Camfield et al100 conducted a randomized double-blind study comparing single daily-dose phenobarbital plus antipyretic instruction with placebo plus antipyretic instruction in preventing recurrent febrile seizures following an initial simple febrile seizure. In children treated with phenobarbital and antipyretics, the febrile seizure recurrence rate was 5%, whereas in those receiving placebo and antipyretics, the rate was 25%, suggesting that a single daily dose of phenobarbital is more effective than counseling parents about antipyretic therapy in preventing recurrent febrile seizures. More recent studies in children have shown that whether given in moderate doses (10 mg/kg per dose, 4 times a day)101 or in relatively high doses (15-20 mg/kg per dose every 4 hours),102 acetaminophen fails to reduce the rate of recurrence of febrile seizures. Finally, there has been considerable recent interest in the use of antipyretic drugs to modulate the activity of pyrogenic cytokines during bacterial sepsis.103 In certain animal models, antipyretic drugs that inhibit COX confer protection when given soon after bacterial challenge, presumably by blunting the adverse effects of tumor necrosis factor α and interleukin 1. In a recent large clinical trial, Bernard et al55 reported that 48 hours of intravenous therapy with the COX inhibitor ibuprofen lowered core temperature, heart rate, oxygen consumption, and lactic acid blood levels, but did not decrease the incidence of organ failure or 30-day mortality rate in patients with sepsis. Thus, in spite of promising results obtained in some experimental models, the antipyretic agent ibuprofen has not yet been shown to be of clinical value in treating bacterial sepsis. Although clinicians have used various forms of antipyretic therapy since time immemorial, there is a dearth of data concerning the benefits and relative risks of such treatments. Nevertheless, several tentative conclusions regarding antipyretic therapy seem justified in light of the limited data available. It is clear, for instance, that short courses of approved doses of standard antipyretic drugs carry a low risk of toxic effects. Most of these drugs have analgesic as well as antipyretic properties. Therefore, if not otherwise contraindicated (eg, aspirin in young children because of the risk of Reye syndrome), such drugs can be used to provide symptomatic relief in patients with fever, to reduce the metabolic demands of fever in chronically debilitated patients, and possibly to prevent or alleviate fever-associated mental dysfunction in the elderly. To minimize antipyretic-induced fluctuations in temperature (and the risk of recurrent shivering and its increased metabolic demands) antipyretic agents should be administered to patients with fever at regular intervals to preclude abrupt recurrences of fever, rather than as needed for temperatures above some arbitrary level. When prescribing such medications, physicians must recognize that each carries its own risk of toxic effects, and might prolong the course of at least some infections. It should be noted further that there is no compelling evidence that a response to antipyretic medications is useful diagnostically in distinguishing serious from self-limited illnesses, nor is there evidence that such medications are effective in suppressing febrile seizures, even if given prophylactically. In view of the capacity of external cooling measures to induce a cold pressor response,89,91 it is questionable whether this form of antipyretic therapy should ever be administered to patients with fever (much less to patients in the intensive care unit, for whom it is most commonly prescribed). If external cooling is used to treat fever, care must be taken to prevent shivering because of its associated increase in oxygen consumption. Unfortunately, even if shivering is prevented, there is no guarantee that a cold pressor response will be averted. In view of indomethacin's capacity to cause coronary vasoconstriction in patients with coronary artery disease,93 NSAIDs should be used with caution, if at all, to suppress fever in such patients. This work was supported by the Department of Veterans Affairs, Washington, DC. The authors wish to thank Sheldon E. Greisman, MD, for his helpful advice. Reprints: Philip A. Mackowiak, MD, the Medical Care Clinical Center, Veterans Affairs Maryland Health Care System, 10 N Greene St, Baltimore, MD 21201.